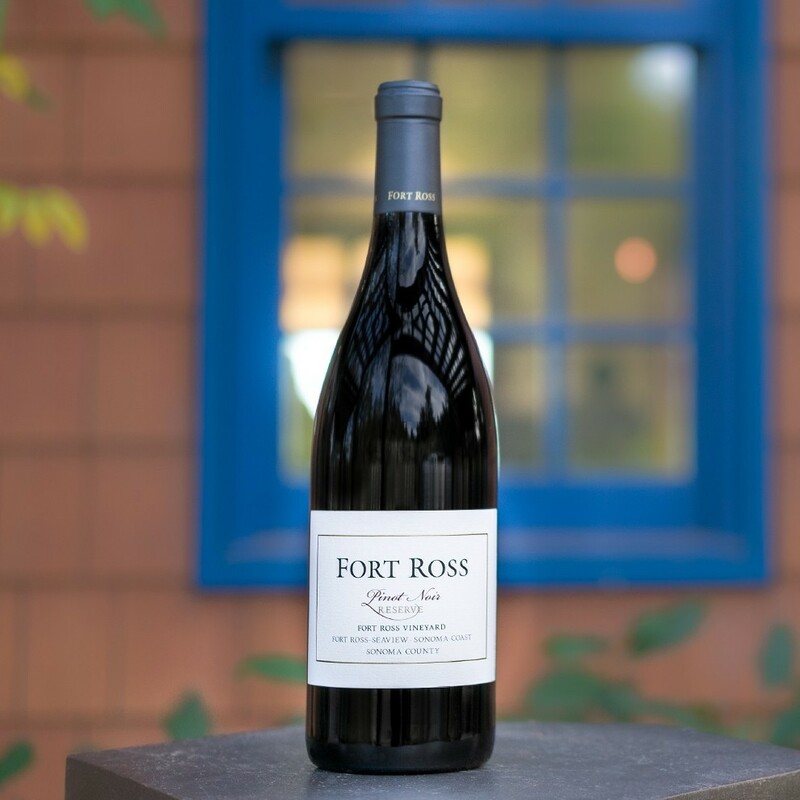 From our mountain vineyard that overlooks the Sonoma Coast in the Fort Ross-Seaview American Viticultural Area, Fort Ross Vineyard & Winery produces limited quantities of single vineyard, Estate grown, cool-climate Pinot Noir, Chardonnay and Pinotage. With spectacular views of the Pacific Ocean less than one mile away, the vineyard is divided into 32 separate blocks, one-half to two acres in size, that range in elevation from 1700 down to 1200 feet above sea level. Owners, Lester and Linda Schwartz with their small crew began preparing the 55 acre vineyard in 1994. It took them 4 years of preparation before they began planting. The year 2000 marked the first vintage from the Fort Ross Vineyard. This expressive Pinot Noir entices with aromas of black currants, tea roses and violets, framed by touches of earth, dried orange peel and spice. Finely structured tannins elegantly support tiers of strawberry, black plum and black cherry interwoven with cola and forest floor. The stunning velvety, complex finish lingers on the palate with focused acidity and minerality showing great finesse and purity. This Reserve Pinot Noir comprised of our best 4 barrels of the vintage will age gracefully for 7-10 years and beyond. On the Sonoma Coast we are accustomed to coastal fog and winter rains of up to 125” a year. The growing cycle generally starts late in this cool, maritime climate but the 2011 spring was unusually cold and wet. The vineyard remained dormant until May when the days suddenly grew hot and the vines burst into action three months later than usual. In June, during bloom, the clusters were well positioned on the vines. Then it rained once more resulting in far less cluster development than expected. During the cool summer the grapes did increase their pace to make up for lost time and miraculously developed vibrant flavors at far lower degrees Brix. With some hot weather the sugar levels did increase but still remained far lower than in previous vintages. Unexpected early fall rain, followed by thick fog, caused many vineyards to pick their crop before optimal ripeness. Each of our blocks were left to ripen as long as the grapes remained healthy and made significant gains in flavor. Finally most of of the vineyard was picked at about 22° Brix which converts into wine of approximately 13% alcohol. We were fortunate that the wild Sonoma Coast gave us another unexpected gift - time to wait patiently before harvest. The grapes for this Pinot Noir were handpicked during the cool hours of the night in 2 gallon trays. After hand sorting, the fruit was cold soaked for several days and fermented in a combination of 5 and 10 ton tanks. The caps were punched down 1 or 2 times per day, depending on the stage of the fermentation. The wines were then barreled in a combination of 40% new and 60% neutral French oak. Throughout the 10 months of barrel aging, the clones and different vineyard blocks were kept separate to maintain their distinct flavor profiles and structural components as blending elements.